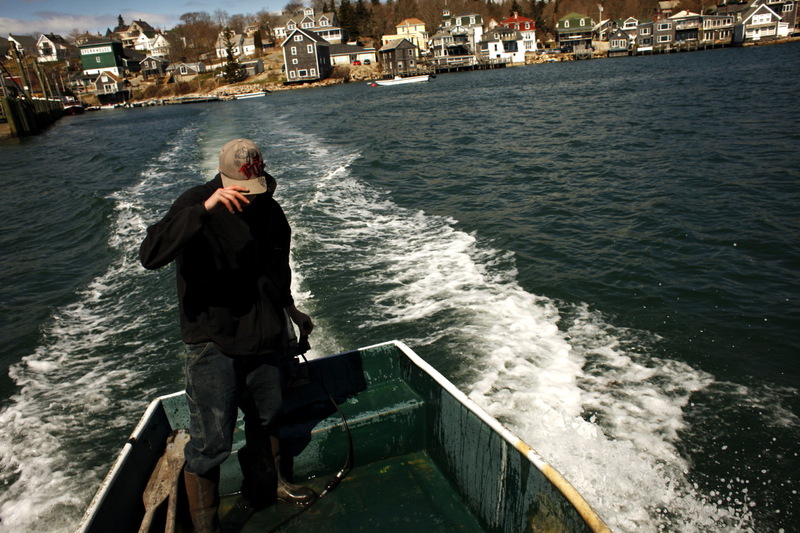 Born into a long line of fishermen, Josh Gove, 16, already owns a 30 ft. lobster boat, the Mighty Dollar. The boat was restored with the help of his father, Vance Gove, Jr.
With roughly 350 lobster boats and a population of only 1,200, Stonington is the largest lobster port in the state of Maine. Though other industries have brought families to the area, most have faded from prominence. The lobster has taken a 90% share of eastern Maine\'s fishing economy since the collapse of ground fish in the 1990\'s. Regulations since that downturn may be responsible for a boom in the lobster stock. Lobster fishing has come to define Stonington and many other coastal communities in Maine, where multi-generational family operations thrive.